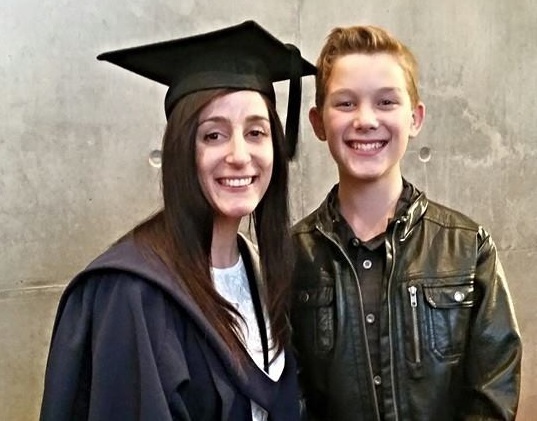 Jasmin Bradshaw and her son, 11-year-old Andrew, at her graduation this year. Jasmin Bradshaw is sitting in The Exchange café, opposite the Bendigo Bank headquarters. On the other side of the glass wall, bank employees are spilling out of the building for their lunch break. Suited, walking tall, going places. Jasmin once dreamed of being one of them, and today they’re her colleagues. Two months ago the La Trobe graduate began full time work in the Community Enterprise Foundation and Communications department. She’s helping tell the stories of the more than 300 community bank branches around Australia. But it’s her own story of getting to this point that is driving what happens next, for herself and many other young women like her. Jasmin is here to talk about the Sophia Cadetship program, founded by friends and professionals Leah Sertori and Gretchen Hillhouse, to connect young mums with education, employment and community. “I was invited to join the board as a director a year ago, to help flesh out what the cadetship was and what it could be,” Jasmin says. “We knew we wanted to create a supportive community to bring together young mothers and other like-minded women. Jasmin had her son, Andrew, when she was 17. When her peers were partying, studying, just getting started, she was deep into the commitment of raising a child. And everything else was placed way down the list. By the time Andrew began taking his first steps, Jasmin was encouraged to do some of the same. 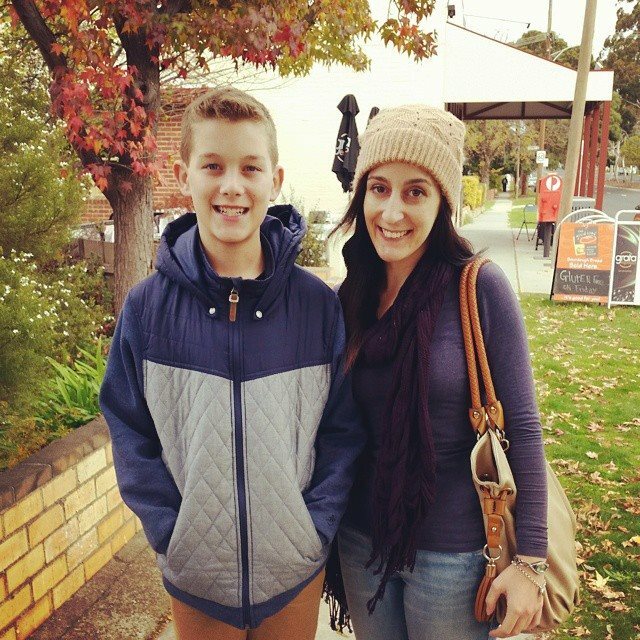 She attended a TAFE open day in Bendigo and enrolled in VCE. Once that was complete, she achieved a Certificate in Business, then entered the workplace. “I was going from one admin job to another, it was a means to an end really,” she says. Last year Jasmin graduated from La Trobe’s Bendigo campus with a Bachelor of Arts, majoring in strategic communication. By the time she’d finished, she’d already been working at the bank casually for three years. It started with volunteer work she’d organised for herself in the first uni holidays, when again her peers were out to party. “After two weeks of work experience I was offered a casual job to fit around my uni schedule,” she says. Jasmin has made the most of all opportunities available to her in Bendigo. She was a student representative on the TAFE board and a general director on the Bendigo Student Association board at La Trobe. That, and her life experience, made her a perfect fit for the Sophia Cadetship. “The cadetship program is in its infancy,” she says. “We’re hoping by getting the conversation started we’ll gain community support through those conversations. The program is starting with the mums themselves, with meet and greet picnics and playdates in Rosalind Park. The Sophia Cadetship program has also launched a Corporate Wardrobe, inviting women to donate items of corporate clothing to help young women “dress for success”.